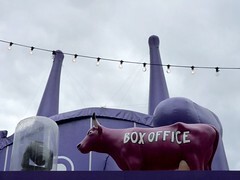 Billed as the largest performing arts festival in the world the fringe has become an international attraction. In 1947 the first International Festival was organised, its was from this festival that the fringe began. Less formal, smaller acts and rising stars would come and show what they had to offer. The International Festival still hosts the major dance and theatre and music but its the Festival Fringe that is now recognised as the real arts party for all. Leading up to the festival the city under goes some major changes with changes use of facilities, open city spaces and parks. Large tents and temporary structures are erected and it seems to get bigger every year. The price of tickets range dramatically from lesser known acts to household names. There are free festival shows and many street performances that will intrigue and amuse in equal measure.